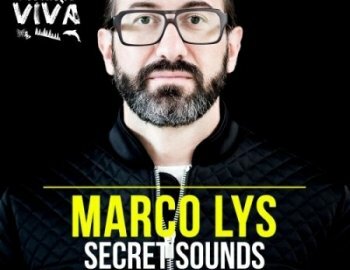 Marco Lys opens the doors of his studio with “Marco Lys Secret Sounds”. A truly perfectionist, a talented producer with a long and successful discography and a shiny future ahead: this is Marco Lys. Born and raised in Italy’s legendary Venice, Marco Lys’s reputation has been forged on endless days in the studio perfecting his unique sound of tech tinged house, and demand for his sound has continued to grow with every piece of production that he works his magic on. With releases on legendary labels (such as Subliminal, Rising Music, Toolroom, 100% Pure, Defected, Strictly Rhythm) and with collaborations with some heavy weights of the scene (such as Chris Lake, Gene Farris, Sam Paganini, Michael Gray, Prok & Fitch, just to name a few), now it’s time for him to share all his precious skills with this essential samples pack.